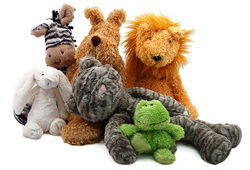 The youth invite all kids 5-11 years old and their stuffed animals* to an afternoon of games, crafts, pizza, and more! We encourage parents to use the kid free time to wrap presents, go shopping, or have a date night!! This is a fundraiser for the youth who are going to Spring Hill. Please consider helping them with a suggested donation of $20. *Pro-Tip: The stuffed animals will stay over night for more fun, if your child needs to sleep with their stuffed friend bring a second favorite animal to the event.